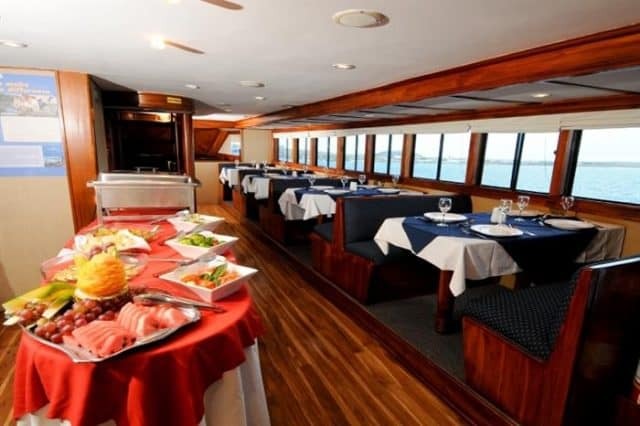 The Galapagos Sky is a luxury liveaboard cruising to the best of the Galapagos Islands. With 33 meters in length and a capacity of 16 guests, the lavish vessel has all it takes for an amazing dive cruise. Indeed, the professional crew has been pleasing divers with a great service and personalized diving for over a decade now. The stunning ship welcomes up to 16 guest, hosted in 8 beautiful and comfortable cabins. Each cabin is big and roomy, with comfortable beds, en-suite bathroom, air-conditioning as well as plenty of storage space. Most noteworthy, the Galapagos Sky is aware of it’s footprint on the beautiful archipelago it visits, so they work on keeping it low. Indeed, the toiletries available for you covers all the basic needs and are all biodegradable. You can check the latest schedule & prices for this liveaboard here. The social areas on the Galapagos Sky are sizable and provide guests a constant feeling of freedom and privacy at once. Indeed, the Sky has an extensive lounge and dining area, in a restaurant-like layout. Meals are always cooked fresh by the Chefs, which prepare a mix of Ecuadorian specialties and international fares. Furthermore, the salon area can comfortably sit everybody an has lots of big windows. Indeed, with cozy seating and a full entertainment system, it’s a great place to sit back, watch your footage of the day, etc. 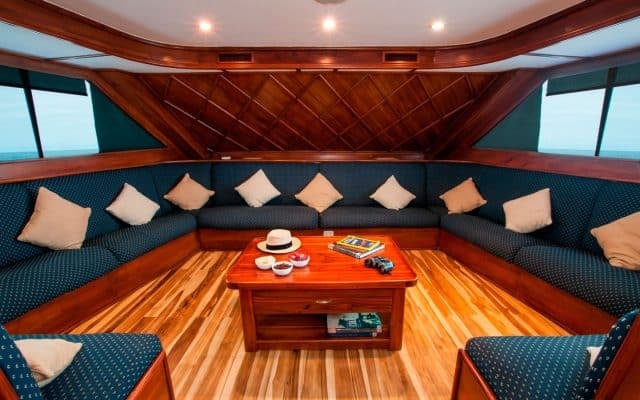 Also, with air conditioning throughout the dive boat, you’ll be comfortable at any time of the year. Also, there is a bar area located on the main deck with a whole range of cocktails, wine and beer to choose from. 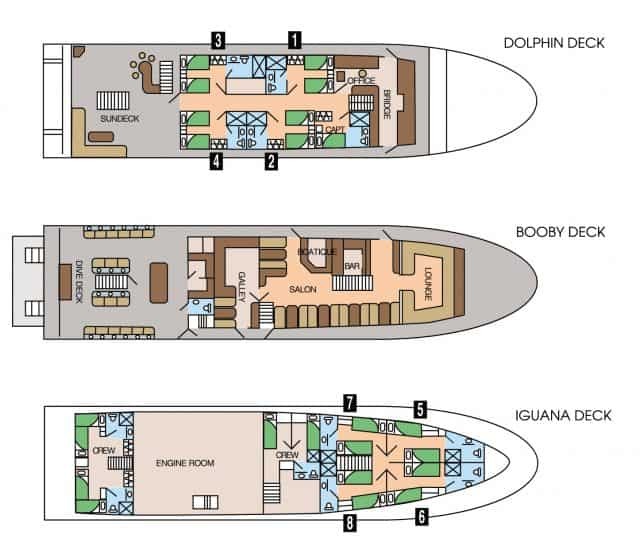 Plus, the spacious sundeck is located at the aft of the top deck and will be just perfect for sun lovers, as well as those who like to read in a shaded spot. You’ll find tons of cushioned loungers as well as a few hammocks on the sun deck! Among the very few liveaboards offering diving cruises to the Galapagos Islands, the Sky stands out as she is arguably the most luxurious. That being said, in size and divers capacity, she much alike some of her counterparts. Indeed, the Galapagos Master, the Humboldt Explorer and the Aggressor III and roughly the same size. Starting from the fact that the Galapagos Islands are, for many, known as the very best diving destination in the world, the Galapagos Sky can only make it better! The itinerary is quite typical in the Galapagos and of course, the Sky takes you for some great scuba diving around Wolf & Darwin Islands. Indeed, known as the best pelagic diving on earth, chances are high that you make magical encounters there. 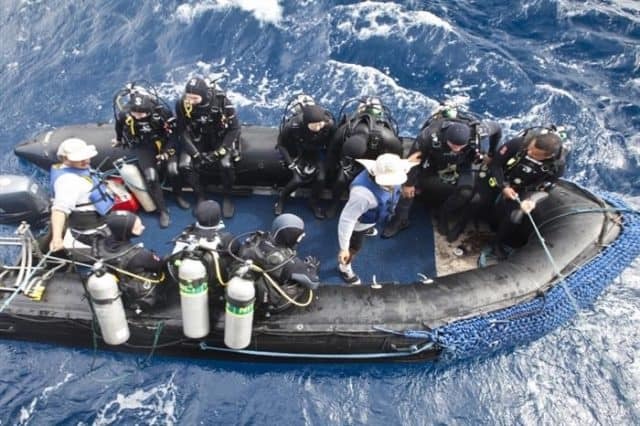 The scuba diving operation if conducted from dive tenders as it’s easier to get right to the action with those. 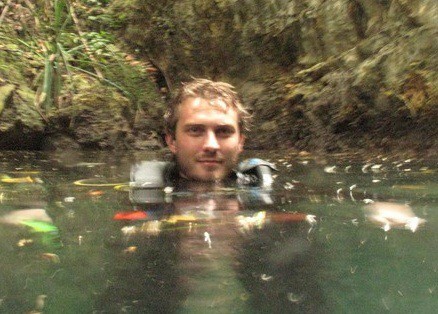 Indeed, with sometimes challenging dives, it’s convenient to be able to pick divers wherever they surface. Also, the dive boat is equipped with camera tables and charging points. Plus the dive deck of the Galapagos Sky is huge, boasting plenty of kitting up space as well as ample personal storage space. Ready for the biggest schools of hammerheads and most unique scuba diving experience ? There you go! Wolf Island and it's neighbor Darwin Island are the highlight of any Galapagos Islands Liveaboard. If you have been diving on board this liveaboard dive boat in Galapagos, please share your review and let us know what you thought. Please post your comments in the review section below, by doing so you will help fellow divers to plan their next diving trip . No Liveaboard Review yet on this page, please comment if you have been on the MV Galapagos Sky cruise. The Galapagos Sky is arguably the most luxurious liveaboard to cruise the Galapagos Islands, it's an opportunity not to miss, for nearly perfect holidays!